GoXtra News: Cricket, Night club, Drugs is mixing oil and water! Cricket, Night club, Drugs is mixing oil and water! “I remain calm; because I know I did not break any rules or did wrong things. It was a matter of being at wrong place at the wrong time” Those were words said by South African medium pace bowler-Wayne Dillon Parnell on a statement he issued, following his realised from police custody in India. Parnell and his room and team mate-Sharma were invited in what they said, was a friend birthday party on Sunday evening, and accepted planning to leave early so they can catch supper back in the hotel. But to their bolt from the blue, police arrived unannounced and found tons of drugs in the party hotel, taking everyone to custody, approximately 81 people two players included. All were summed to a drug test, and two players founded innocent. 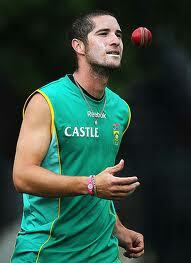 Parnell and many South African cricketers are currently in India participating for their various IPL club in the IPL. So it was disappointing for all SA cricket lovers when the news of our fast bowler being involved in such stories. We are all expecting our cricketers to be there to fly our flag abroad and represent our country with dignity and pride, not being found in druggy places. A week ago some Indian players were stopped from participating in the tournament due to some match fixing scandal that broke up, so hearing this was the last thing we would have expected and let alone from a Protea. This leave Proteas status harmed in the face of the world if our players are being involved in issues related to drugs and parting, while on duty. Parnell himself he captain the Proteas at junior level and with his skills and talent, you can not bet against him having a leading role one day in the Proteas set up, but with this publicity now, where dose all this leave him and the team? I personally think Cricket South Africa has to do something about issues like these, because if they leave it, it might be too late and hard to stop it. These players are people’s role models, young cricketers look up and learn from them, modelling their game against theirs, so with behaviour(s) like this, where dose it leave these young future SA cricketers’? For an example, who want to be modelled by Jabu Pule (mahlangu)? No one! Why? Because of issues like these. Its always looks impossible until its done” Fanele “thenatureboy” Mbuyazi!